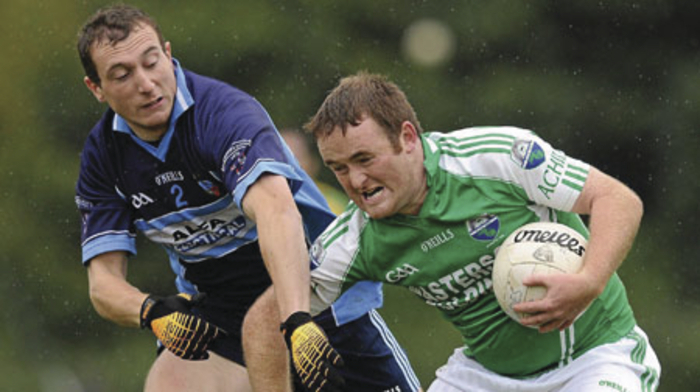 There’s been plenty of novel match ups in the history of the GAA, but this Sunday’s meeting of Achill and Oileain Arainn (Aran Islands ) in the Connacht Club Junior Football Championship Final is probably one that will not be topped for a long while to come. Having two islands meet on the mainland for the title of being the best junior club in Connacht is going to be one of those games that will be talked about for many years to come. Of course if they wanted to be finicky the Galway outfit could probably claim to being the only true island team, with part of the parish of Achill stretching on to the main land and the Michael Davitt bridge joining it to the rest of the country. But enough of that geography talk, it is the football that really matters on Sunday. For Achill it has been some emotional journey getting here, having lost the county final to Castlebar Mitchels B, they had to pick themselves up again three weeks later and go out and represent Mayo in the provincial championship with B teams not allowed to play outside their own county. It did look in their Connacht semi-final that their season was about to end without much a fuss as Roscommon champions Michael Glavey’s were leading by four points as the game ticked into injury time. David McNamara then scored a goal that will be talked about for years to come around Achill to give his side the chance to get back into the game, and when Jonathan Fadian was fouled 40m out, Pee Sweeney showed nerves of steel, born out of an island upbringing to drive the ball over the bar and level the game up for the fifth time in normal play and send the game to extra time. It was in the additional 20 minutes that Achill and Fadian really came to the fore, with the midfielder covering acres of ground and kicking four points. The training being done with Achill by former Mayo manager John Maughan over the season really showed during extra time as Achill eventually ran out two point winners. This will be Achill’s second provincial junior final, with the west Mayo men reaching the provincial decider in 2007 only to be overturned by the then Galway champions St Colman’s. It is a strange quirk of the system, by not allowing B teams represent their county, that Achill could win the Connacht title on Sunday and even go on to All Ireland glory later on next spring and they would still be playing junior football next season, but that is something that will be far from the minds of Paul McNamara’s players on Sunday. Pee Sweeney and Jonathan Fadian who spearheaded their comeback in their semi-final will be expected to lead the line again this Sunday. But they will be ably supported by Michael Dara Sweeney, Fionnbharr Gallagher, Liam Gallagher, and captain Michael D McNamara against their fellow island men. As for their opponents on Sunday, Oileain Arainn saw off the challenge of Sligo side Owenmore Gaels in their semi-final on a score of 4-18 to 0-6, having seen off Annaghdown in the Galway final with three points to spare to claim their county crown. It is no fluke that Oileain Arran have made it this far, having pushed the eventual All Ireland champions Clonbur to a replay in the Galway final in 2011. It is certainly the most novel final that most people can remember and while there were some joking suggestions it should be played on Inishbofin or Inishturk, the traditional home of Galway football, Tuam Stadium, will host the proceedings on Sunday at 12.15pm.